Terms and Conditions for the Supply of Goods through the website you are connected to the User Agreement for Zaveris Ltd. This service is operated by Zaveris ltd (Zaveris and Zaveris.co.ke each separately and together in this Agreement, “we”, “us” or “our”). We must receive payment in whole for the price of the goods that you order before your order can be accepted. Once payment has been received by us we will confirm that your order has been received by sending an email to you at the email address you provide in your order form. 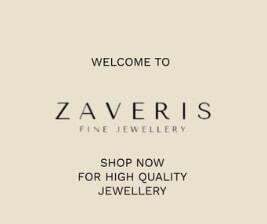 This is not an Order Acceptance from Zaveris Ltd. Our acceptance of your order takes place on the despatch to you of the products ordered unless we notify you that we do not accept your order, or you have cancelled your order in accordance with clause 3. Our acceptance of your order brings into existence a legally binding contract between us. Only adults (persons aged 18 and over) are entitled to enter into legally binding contracts and as a result are the only people entitled to transact through this site. Any other individuals who are unable to perform legally binding contracts are prohibited from ordering goods using this site. If you do not qualify do not use this site. 2.1.1 All of our prices are in Kenya Shillings. You will be billed in Kenya Shillings and if you purchase from outside Kenya, currency fluctuations and credit card charges may make a difference to the amount billed on your credit card. 2.3 Promotional discount codes: We may from time to time offer promotional discount codes (either directly or via third parties) which may apply in respect of any, or certain specified, purchases made through this Website. Such codes may only be applied to purchases of full-price items and cannot be used in conjunction with any other offer or discounts. 3.1 Subject to 3.3 below, you may cancel your contract with us for the goods you order at any time up before the goods are shipped out to you without any penalties. 3.2 To cancel your contract you must notify us by email at info[@]zaveris.co.ke. 4.2 If we do cancel your contract we will notify you by email or by telephone, and will re-credit to your account any sum deducted by us from your credit card/m-pesa as soon as possible but in any event within 15 days of your order. We will not be obliged to offer any additional compensation for disappointment suffered. 5.2 All orders within the Kenya are delivered using G4S Delivery or an alternative carrier during G4S industrial action. * International Delivery is under consideration, once in place we will post it here. 5.4 We make no promise that materials on our website are appropriate or available for use in locations outside the Kenya, and accessing the website from territories where its contents are illegal or unlawful is prohibited. If you choose to access this site from locations outside the Kenya, you do so on your own initiative and are responsible for compliance with local laws. 5.5 If your order is returned to us because the courier or other courier could not complete the delivery to you for whatever reason, then you will be responsible for the repeat delivery costs. 6.1 If the goods we deliver are not what you ordered or are damaged or defective or the delivery is of an incorrect quantity, we shall have no liability to you unless you notify us by email of the problem within 2 working days of the delivery of the goods in question. 6.3 We will not be liable to you for any indirect or consequential loss, damage or expenses (including loss of profits, business or goodwill) howsoever arising out of any problem you notify us of under this condition and we shall have no liability to pay any money to you by way of compensation other than to refund to you the amount paid by you for the goods in question under clause 6.2.3 above. 6.6 We cannot be held responsible for any delays once the goods have left us and are in possession of the courier. Unless otherwise expressly stated in these terms and conditions, all notices from you to us must be in writing and sent by email to our contact address at info[@]zaveris.co.ke and all notices from us to you will be displayed on our website from time to time. 10.1: Third Party Rights: Except for our affiliates, directors, employees or representatives, a person who is not a party to this agreement has no right to enforce any term of this agreement but this does not affect any right or remedy of a third party that exists . 10.2 Third Party links: We may include hyperlinks on this Site to other websites or resources operated by parties other than Zaveris Ltd, including advertisers. Zaveris has not reviewed all of the sites linked to its Web Site and is not responsible for the content or accuracy of any off-site pages nor are we responsible for the availability of such external websites or resources, and do not endorse and are not responsible or liable, directly or indirectly, for the privacy practices or the content of such websites, including (without limitation) any advertising, products or other materials or services on or available from such websites or resources, nor for any damage, loss or offense caused or alleged to be caused by, or in connection with, the use of or reliance on any such content, goods or services available on such external websites or resources. Each and every transaction carried out is deemed to be completed within Kenya and therefore shall be governed by and interpreted in accordance with Kenyan Law. The terms of this charter (and any dispute, controversy, proceedings or claims of whatever nature in relation to them) shall be governed and interpreted in accordance with Kenyan Law and the Kenyan Courts shall have exclusive jurisdiction in relation thereto.